Unity Technologies last week announced that the Unity Platform has been retooled to offer native support for SteamVR, the software foundation for Rift rival HTC Vive. The move will save effort and resources, whether developers build made-for-VR titles or merely build virtual reality support into traditional games. 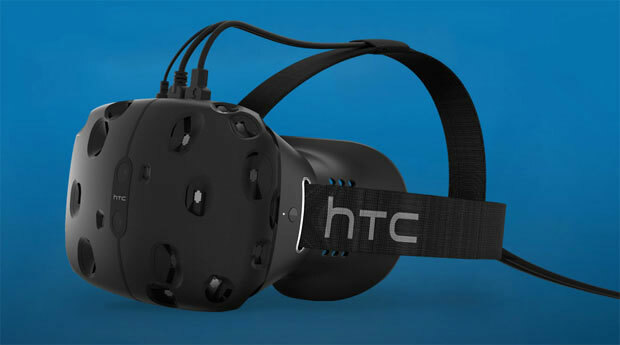 In addition, Valve, the company behind Steam and SteamVR, introduced an advanced rendering plug-in developed for Unity. Because Valve has been a major player in the game industry, it was clear that supporting SteamVR would be a part of Unity’s strategy, Unity spokesperson Marcos Sanchez said. Unity Technologies has been baking general VR and augmented reality support into the platform, according to Sanchez. A big portion of its 400-plus engineers have been focusing exclusively on developing AR and VR content. “Unity is recruiting some of the most talented folks from the most specialized, high-end game companies in the world to make Unity better,” he said. “Palmer Luckey of Oculus recently noted, at the Vision AR/VR Summit, that over 90 percent of the content created for Samsung’s GearVR was made with Unity, which is a staggering amount,” Sanchez added. The gold rush isn’t quite on, as established players in the video game industry have, so far, dispatched prospectors into VR territory. However, game makers have been stepping up their efforts to explore VR, as there’s a growing consensus in the industry that VR is for real this time. It’s a huge risk to appropriate too much of a company’s resources for a nascent, untested sector of the market, but the game industry started to rally around VR, and alliances will start to emerge as a result, according to Joost van Dreunen, CEO of SuperData Research. “Everybody knows that they can’t all have a successful platform of their own and that the market will, at least to the extent that history is a reliable guidepost here, eventually settle on two or three devices,”. To mitigate the risk of betting on VR, companies understand how important it is to integrate their technologies with other groups and to “play nice early on,” noted van Dreunen. “Especially considering the active indie development community around Steam, it makes a lot of sense for Unity and Valve to team up. In the early stages of a new platform, offering an innovative, killer application is key to stimulate consumer adoption,” he said. For Unity’s part, it’s hedging its VR bets on “one of the most powerful game delivery systems,” said Rob Enderle, principal analyst at the Enderle Group. “Unity’s support of SteamVR assures they will remain a popular and powerful developer platform if and when VR becomes as popular as it is expected to become,”. The budding VR industry that has taken form over the last few years may invoke memories of the early days of the video game industry. Google’s Cardboard kit and Samsung’s purpose-built Gear VR adapter offer low-end VR solutions, relying on consumer handsets to serve as the displays for their headsets. The experiences on Cardboard and Gear VR can be compared to the Nintendo Entertainment System, the Super Nintendo Entertainment System and the Genesis era. Meanwhile, Facebook’s Oculus VR, HTC’s Vive and Sony’s PlayStationVR headsets are reminiscent of the era of Nintendo 64, PlayStation One and Xbox One. There has been a decade and a half between the Super Nintendo and the HTC Vive and more 30 years between the first game console and the Xbox One. VR development has been moving at light-speed compared to the industry’s past progress, but VR takes a step back in graphical fidelity, as it takes more power to process two scenes, one for each eye, at 90 frames per second. It may take some time for full-on VR to emerge, according to SuperData Research’s van Dreunen. “After watching the keynote at Vision Summit, I agree with Unity’s CEO, John Riccitiello, that the first few years we will see a slower pace in overall market growth as the industry gets itself organized,” he said. The sticker shock of the US$599 Oculus Rift helped put expectations into perspective. That price point has attracted tech-savvy early adopters but has turned off mainstream gamers who expected the headset would cost around $300 based on early reports.